This is the transformation of something you - and each of us - has done at some point. Whether for a company website, or your LinkedIn or other social media photo, or just for personal purposes, you've used a photo that - hopefully - makes you look good. Such portraits and headshots are usually pretty mundane, right? Not necessarily. What about TRANSFORMING the concept of such a shot? What about making it unique, creative, MEMORABLE in a positive way, that could LEAD TO MORE ATTENTION, AND MAYBE EVEN MORE BUSINESS? That's what Dave Swartz, nephew of our fellow alum and Wharton DC member Bob Swartz, did recently. Dave is the Executive Director of Art Direction and Design at one of America's top ad agencies, CP&B, in Boulder, Colorado. They've won many awards for their work, for Fortune 500 and other top companies. And faced with the task of presenting his NEW look t o the world, Dave came up with a brainstorm:. Why not look like one of the great masters of the art world, one who was very successful, not a starving artist, the great German, Albrecht Dürer, with initials, AD so apt for an ad agency, and used by the Art Directors group? CLICK HERE, to "get the picture(s), literally"! Here's what ADWEEK says, "The result is pretty stunning. 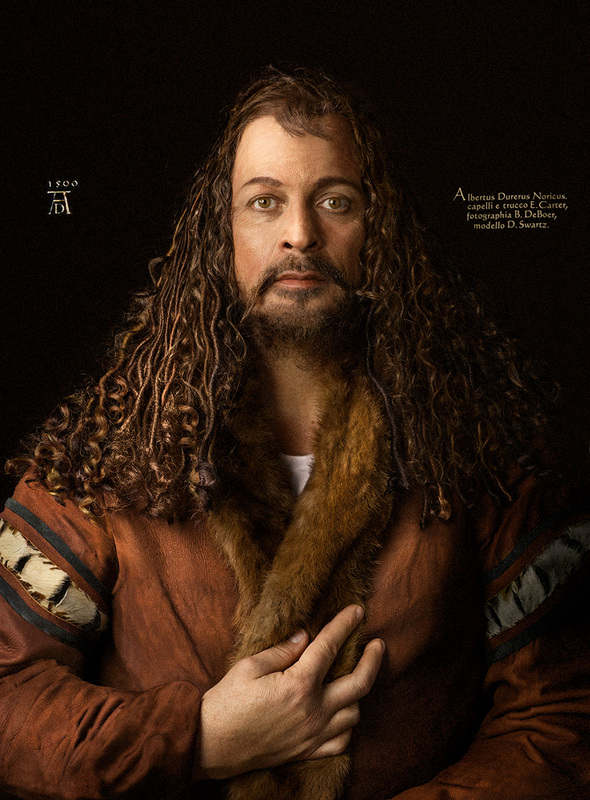 It’s a remarkable re-creation of the Dürer (1500 AD - an apt date and initials for a Christlike) painting, from the hair and makeup right down to the custom-made coat." And, of course, much PERSISTENCE by Dave and his colleagues in seeing the vision from concept to creation. For so many ideas, even the greatest ones, involve what Thomas Edison described as "1% inspiration, 99% perspiration." ARE YOU READY FOR YOUR OWN TRANSFORMATION? To MAKE IT HAPPEN, not just talk or think about it? 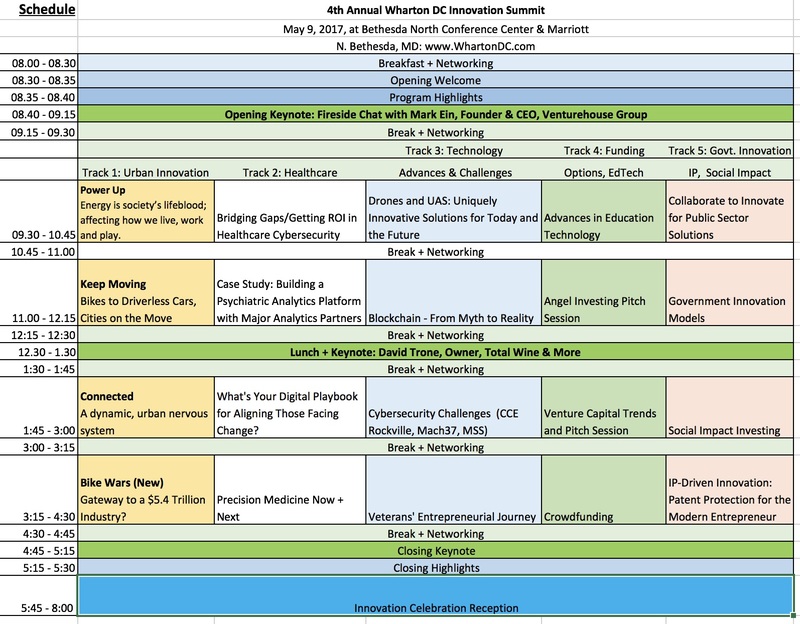 If so, then please read on, about the 4th Annual Wharton DC Innovation Summit, on May 9 - and the SPECIAL OFFER to you to register now, and get a BONUS. "What’s exciting about the Summit is we have entrepreneurs and innovators coming together in the Nation’s capital, finding ways entrepreneurs and innovators can help SOLVE THE BIG PROBLEMS over the next decade. I’m excited about being here because the talent gathered here can together BE PART OF THE SOLUTION for our Nation’s ills." That mirrors the testimonials and positive comments we've heard from many of our more than 1,100 Summit attendees in the last three years. You can DO WELL and DO GOOD, if you partake of richness of human talent coming together. Why act NOW? Because you get the ADVANCE rate of just 200/person for the FULL ACCESS PASS, plus a bonus, of THREE MONTHS added to your Membership, if you sign up NOW (added AFTER you register), or no later than Saturday, March 25. That bonus drops to two months, for registration from Sunday, 3/26 thru 3/29. Then one month from 3/30 to April 2. 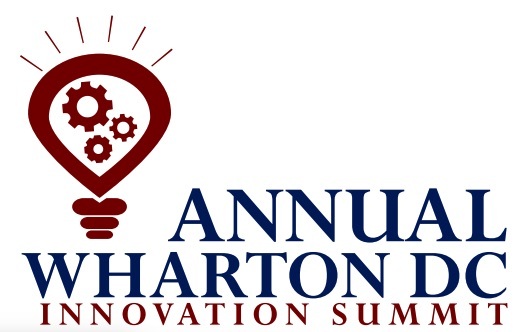 T the EARLY BIRD rates end this Friday, March 17, on what may well be the best value with the most impact on your career or business, the 4th Annual WHARTON DC INNOVATION SUMMIT. And if you act now, you won't miss out or forget. Click here to Register for the Summit before the bonuses expire!!! Its theme this year is: DESIGN & RUN YOUR INNOVATION PLAYBOOK. To ADVANCE and SCORE with your idea, your startup, early-stage, or other company. As you SCORE, and maybe even change the world! at our Healthcare and Smart Cities sessions. PLUS we'll have FUNDING and PITCH sessions: Venture, Angel, Crowdfunding (and Social Impact Investing), an IP - Intellectual Property - Workshop, and much more. Including hundreds of potential contacts for you and your team. WHO'S COMING TO THE SUMMIT, who you might be able to meet, and connect with? Just CLICK HERE to go to the Summit site - and take a peek at some of the talented and connected leaders who will attend and who've already signed up? and Innovation Summit Steering Committee. PPS - If you join us at THE SUMMIT, whether you look different in the mirror (like Dave) or not, you'll look DIFFERENT TO OTHERS, and FEEL and ACT different, inside, as you get BETTER RESULTS. And instead of a year, you need but take ONE DAY to move your business, your team, and your career forward on May 9. Healthcare and Urban Innovation tracks with four sessions each to help your team win - and learn what opportunities - and challenges - the future may hold in store. Be aware - and BE PREPARED! As Ben Franklin wrote, "By failing to prepare, you are preparing to fail." You - and we - don't want that to happen!